Why are NICET Practice Tests Only Half the Battle? It is very important to properly prepare for the NICET Exam. We recommend not only using NICET Practice Tests but also using other practices such as tabbing your code books, learning the proper way to navigate the references such as NFPA 72 (2013) and NEC or NFPA 70 (2011). These little practices can cut down on your time thus reducing anxiety as well as giving you time to circle back at the end of your NICET exam to answer any questions you were unsure on. What Makes a Good NICET Practice Test? A good NICET practice test should consist of a wide range of questions as well as the answers with code or standard references. This helps the user locate the answers in the applicable reference. Remember that NICET practice tests can only get you so far not only on the actual NICET exam but your future career in the fire alarm industry. The NICET exam is open book because the industry is always evolving. NICET understands that learning the applicable codes and how to navigate these references will get you a lot further than forcing you to memorize all of the material. If you simply memorize the answers to a NICET practice test, you are only cheating yourself. Solid practice tests for the NICET exam will make it easy to understand where to locate the answers or in some case if the answers are not in a reference, the test should break down the solution in an easy to understand manner. In short, the NICET practice exams should not only get your ready for your exam, but make you comfortable in using your references on the job. You can purchase the Fire Alarms Online NICET Practice Test to the left via the secure PayPal checkout. Please note that the NICET Practice Test questions below are not directly associated with NICET nor are they found on the actual exam. These questions are taken from our NICET Practice Test as a preview as what you can expect on the exam. AN INSTALLATION OF A FIRE ALARM SYSTEM THAT SERVES ADJACENT AND NON-ADJACENT PROPERTIES, UNDER ONE OWNERSHIP, IS CONSIDERED A ________________ FIRE ALARM SYSTEM. AN INITIATING DEVICE IN WHICH THE SENSING ELEMENT IS DESIGNED TO BE DESTROYED IN THE PROCESS OF OPERATION, IS OF WHAT TYPE? FPLR STANDS FOR WHICH OF THE FOLLOWING? MANUAL PULL STATIONS ARE TO BE MOUNTED AT WHAT HEIGHT? THE TIME DELAY BETWEEN THE ACTIVATION ON AN INITIATING DEVICE AND THE AUTOMATIC ACTIVATION OF A LOCAL FIRE SAFETY FUNCTION, SHALL NOT EXCEED ________ SECONDS. WHILE TESTING A FIRE ALARM SYSTEM YOU REMOVE A TWO WIRE DETECTOR FROM ITS PLUG IN BASE ON A STYLE B TYPE CIRCUIT. WHAT ALARM CAPABILITY WOULD YOU EXPECT FROM THE REMAINING DETECTORS ON THIS CIRCUIT? B – ACTIVATED DETECTORS BETWEEN THE CONTROL UNIT AND THE BREAK SHOULD ALARM. D- NONE OF THE REMAINING DETECTORS WOULD CAUSE AN ALARM WHEN ACTIVATED. E – THE ENTIRE CIRCUIT WOULD BE DISABLED. PULL STATION SHALL BE WITHIN ________ FEET FROM THE EXIT DOOR. WHEN TESTING A WATERFLOW SWITCH, HOW LONG SHALL IT TAKE FOR A SIGNAL TO BE GENERATED AT THE FIRE CONTROL UNIT? WHEN RUNNING OPEN WIRE ABOVE THE CEILING, HOW MANY FEET MAX SHOULD EACH STRAP BE PLACED? WHICH OF THE FOLLOWING IS TRUE WHEN BATTERIES ARE PLACED IN SERIES (FIRE ALARM PANELS)? SMOKE DETECTORS SHALL BE PLACED NO CLOSER THAN _____ FEET FROM ANY AIR SUPPLY OR RETURN. ADDRESSABLE DEVICES ARE ON A ______ STYLE CIRCUIT, CONVENTIONAL INITIATING DEVICES ARE ON A ______ CIRCUIT AND HORN/STROBES ARE ON A _______ CIRCUIT. HOW MANY FEET FROM THE END OF A CORRIDOR SHALL A HORN/STROBE BE PLACED? HOW MANY FEET FROM THE END OF A CORRIDOR SHALL A SMOKE DETECTOR BE PLACED? OPEN WIRE IS ALLOWED ABOVE THE FINISHED FLOOR AT HOW MANY FEET. WHAT IS THE MAXIMUM TURNS ALLOWED ON A TAMPER VALVE IN ORDER TO INITIATE A SUPERVISING SIGNAL? HOW MANY CONDUITS CAN BE CONNECTED TO ONE SEISMIC WIRE? HEAT DETECTORS SHALL BE PLACED WITHIN _______ FEET OF A SPRINKLER HEAD INSIDE OF AN ELEVATOR SHAFT OR MECAHNICAL ROOM? WHAT PAPERWORK IS REQUIRED AT A FIRE ALARM FINAL INSPECTION? GIVE A BRIEF DESCRIPTION OF ELEVATOR RECALL. EXAMPLE: A TWO STORY BUILDING. EXPLAIN WHERE SMOKE DETECTORS ARE REQUIRED AND WHAT FUNCTIONS THEY WILL PREFORM. FIRE ALARM SYSTEMS SHALL HAVE SUFFICIENT BATTERY BACK-UP TO OPERATE THE SYSTEM FOR ______ HOURS OF STAND-BY AND _____ MINUTES OF ALARM. EMERGENCY VOICE EVACUATION SYSTEMS SHALL HAVE SUFFICIENT BATTERY BACK-UP TO OPERATE THE SYSTEM FOR ______ HOURS OF STAND-BY AND _____ MINUTES OF ALARM. DUCT SMOKE DETECTORS ARE REQUIRED ON HVAC UNITS THAT ARE _______ CFM OR _______ TONS. DUCT SMOKE DETECTORS ARE POWERED UP WITH RESETABLE/NON-RESETABLE POWER. (CIRCLE CORRECT CHOICE) ALSO GIVE A BRIEF DESCRIPTION OF WHY THIS POWER SOURCE IS USED. CONVENTIONAL DEVICES SUCH AS WATERFLOWS, TAMPER SWITCHES, PULL STATIONS, HEAT DETECTORS AND DUCT DETECTORS USE WHICH CONTACTS? WHAT IS THE MINIMUM SIZE COPPER WIRE NEEDED FOR A 20 AMP CIRCUIT? HOW MANY #14 AWG THHN CONDUCTORS CAN BE INSTALLED INSIDE IN A TRADE SIZED 1/2 INCH EMT? HEAT DETECTORS SHALL BE INSTALLED FOR MAXIMUM EXPECTED AMBIENT CEILING TEMPERATURE. THE TEMPERATURE RATING SHALL BE AT LEAST HOW MANY DEGREES ABOVE MAX AMBIENT? 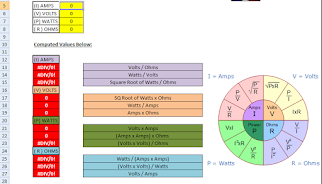 WHAT IS THE MAXIMUM ALLOWABLE VOLTAGE ON A CLASS 1 CIRCUIT? WHICH OF THE FOLLOWING CLASSIFICATIONS IS CONSIDERED THE MOST DANGEROUS? HOW MANY #14 THHN AWG. CONDUCTORS CAN BE INSTALLED IN A ½” TRADE SIZE EMT? WHAT DOES AN ASTERISK (*) REPRESENT IN NFPA 72? EQUIPMENT CONSTRUCTED AND INSTALLED IN CONFORMITY WITH NFPA 72 SHALL BE? WHEN THE WORD “SHALL” IS USED IN NFPA 72 IT WOULD INDICATE A? THE DISCONNECTING MEANS FOR THE FIRE ALARM CIRCUIT SHALL BE? WHEN INSTALLING DETECTORS ON PEAKED CEILINGS, A ROW OF DETECTORS SHALL BE LOCATED? SCAFFOLDING AND COMPONENTS SHALL BE CAPABLE OF SUPPORTING A WEIGHT OF? OPEN WIRE IS ALLOWED ABOVE __________ FEET. WHEN ARE HARD HATS REQUIRED ON JOB SITES? IN ORDER TO ACHIEVE THE CORRECT LENGTH ON A 90 DEGREE BEND WITH ½” “ CONDUIT ________ INCHES SHALL BE SUBTRACTED FROM THE TOTAL MEASUREMENT. WHICH TYPE OF DETECTOR IS AFFECTED BY ALTITUDES OVER 3000’? LINE TYPE HEAT DETECTORS SHALL BE LOCATED ON THE CEILING OR SIDEWALL NOT MORE THAN ____ INCHES FROM THE CEILING? A FIRE POWER LIMITED CABLE THAT CAN BE RAN IN PLENUMS IS MARKED AS? WHAT DOES NPLFA STAND FOR? ACCORDING TO NFPA 72 WHEN SHOULD WATERFLOW SWITCHES BE TESTED? WHEN INSTALLING LOBBY SMOKE DETECTORS FOR ELEVATOR RECALL WHAT IS THE MAXIMUM DISTANCE THEY MUST BE FROM THE CENTER LINE OF THE ELEVATOR DOOR? WHAT IS THE MAXIMUM AMOUNT OF WATERFLOWS ALLOWED TO SHARE AN INITIATING DEVICE CIRCUIT? WHAT IS THE MAXIMUM AMOUNT OF SUPERVISORY SWITCHES ALLOWED TO SHARE AN INITIATING DEVICE CIRCUIT? NOTIFICATION APPLIANCES INTENDED FOR OPERATION IN PUBLIC MODE SHALL HAVE A SOUND LEVEL OF NOT LESS THAN. If you are interested in taking the NICET Test for "fire alarms" or "Inspection and Testing of Fire Alarms", then we have you covered! We are now selling our CBT Levels 1 - 4 NICET practice test with preparation material. This material is packed with tons of NICET practice test questions along with all code references as to where to find the answers. We have also supplied the material with all of the necessary NICET applications, CBT calculator demonstrations, links and more. If you need more information, feel free to send an email. You can find the link to purchase our NICET Practice Test on the top left section of this site.